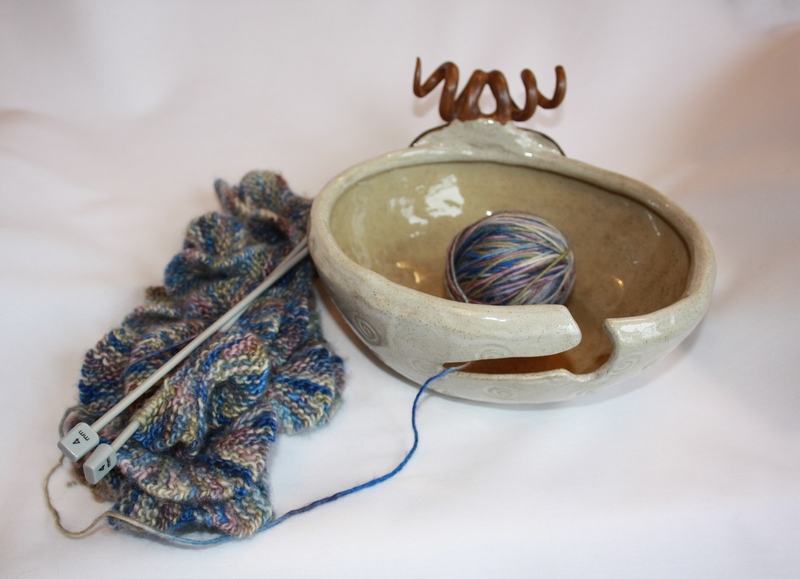 Lots of people have liked my sheep yarn bowls but one lady asked me if I could make her a larger version as she tends to knit with bigger balls of wool. She also wondered if I would be able to make the ram’s horns ‘open’ so that wool could be fed round them. I thought this was a really good idea and a possible product design improvement for future bowls I make. It took three attempts to get the horns right though! With every kiln firing, clay will contract slightly and much to my dismay the horns on the first two bowls contracted so much that they closed off. But third time lucky and with a bit of improvisation using rolled up cardboard to support the horns until they were firm enough to hold their shape, at last I had the final product ready for collection. And here it is! 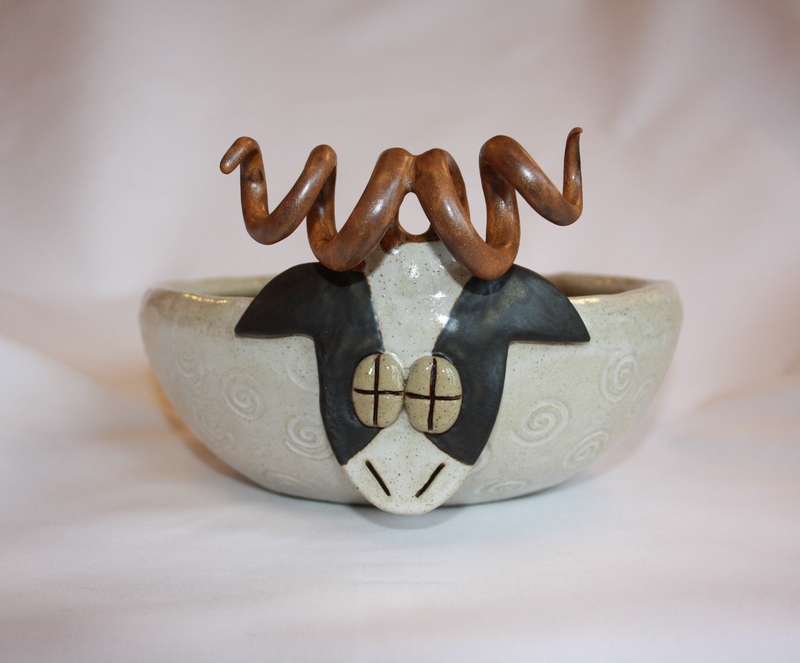 Large Sheep Yarn Bowl – with ‘open’ horns. Diameter 22cm. 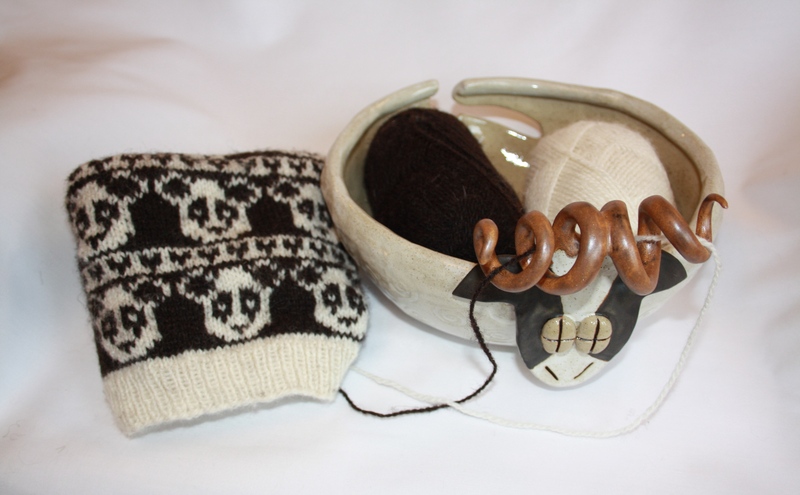 Just like my smaller sheep yarn bowls the wool can be fed through the groove at the back. But because the horns are ‘open’ you can also feed the wool through them instead. The fact that there are two horns on the ram – well obviously! 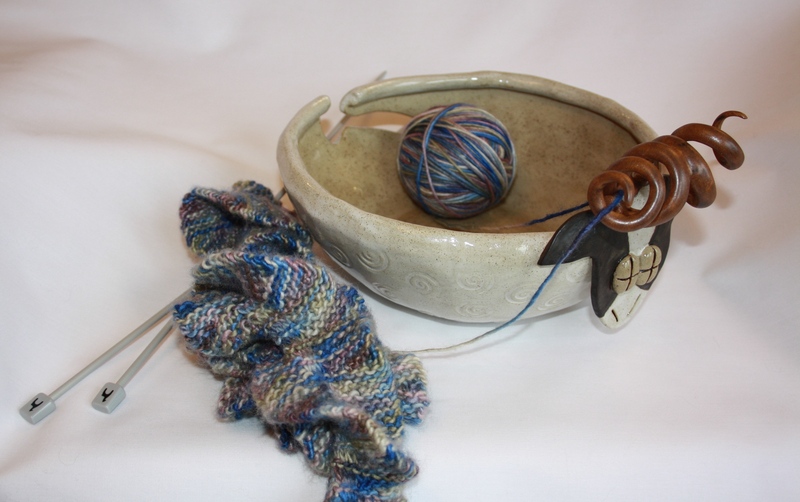 – makes this yarn bowl perfect for knitting Fairisle garments with two different balls of wool.